A few moments, please, while the first 3% of the film downloads... then play begins. 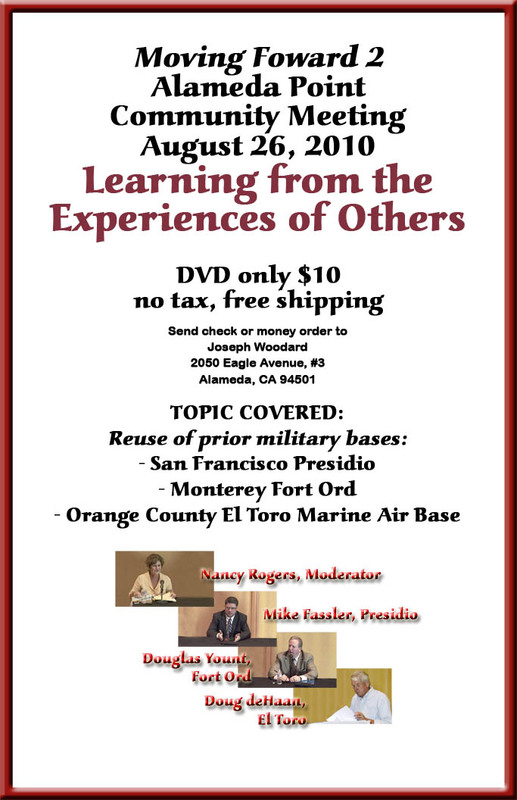 Held August 26, 2010 in the Alameda Auctions by the Bay Theatre, this meeting presented the experiences of military base reuse at three previous California bases: 1) San Francisco's Presidio Army Base, 2) Monterey's Fort Ord Army Base, and 3) Orange County's El Toro Marine Air Base. A question-and-answer session followed.